Azure Aura is a textural seascape on stretched canvas. 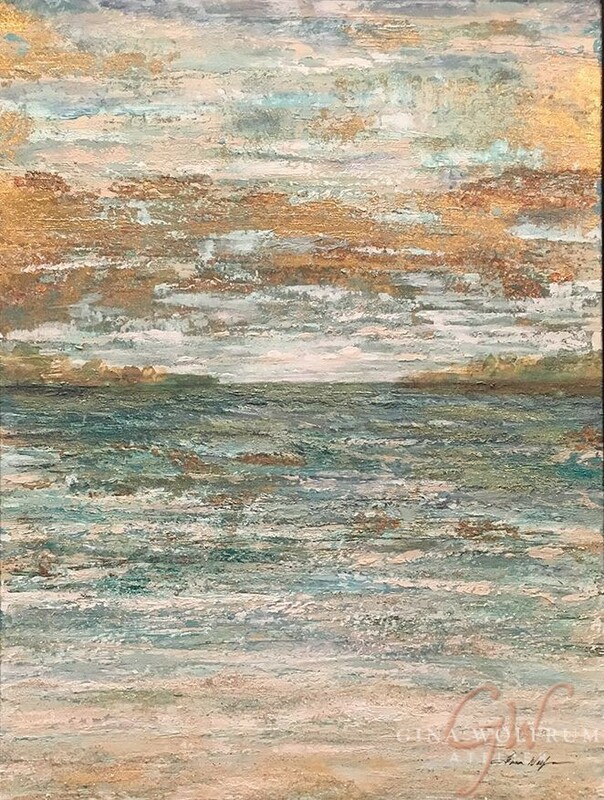 Composition copper and gold leaf and reactive metallic effects were used throughout the painting to highlight the sky and water. This painting was featured in the local Country Home magazine's showcase article in the fall of 2017.